Program of the preparation event of City Challenge Crowdhackathon #smartcity2 – Open Smartcity Day. 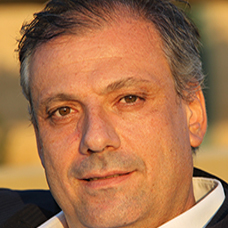 Mr. John Papidis is currently working as a management consultant on Digital Transformation & Innovation subjects. He began his professional career back in 1986 at Commodore BM and participated in 3 startups (Acropolis Net, ComNet, PowerLine Alarm System) at the end of the ‘90s. John follows closely the evolution of digital technologies as well as the business models born within it.